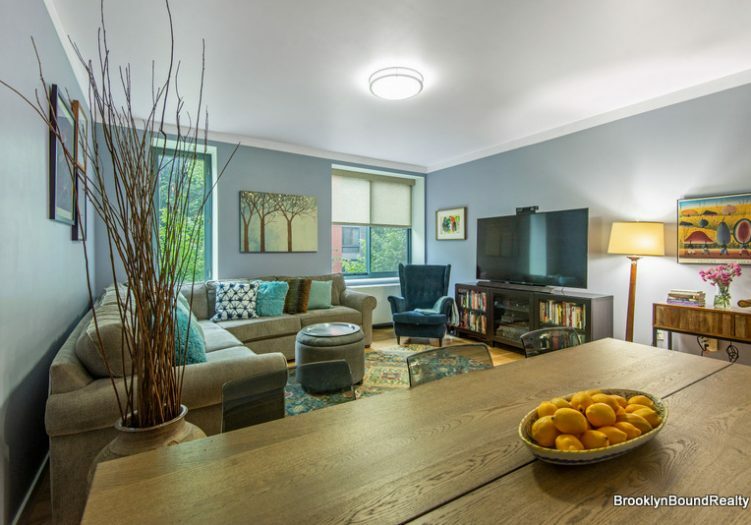 Nestled between the two historic landmark districts of Fort Greene and Clinton Hill, the Navy-Green Condominium reflects the true essence of all that is great about the renaissance of these two neighborhoods. The Condominium stands directly across from the Brooklyn Navy Yard and the communal gardens shared by the unit owners and neighboring townhouse owners showcase the significant impact of green spaces in our lives – hence the name…..Navy/Green. The apartment itself has many green and efficient features as well. 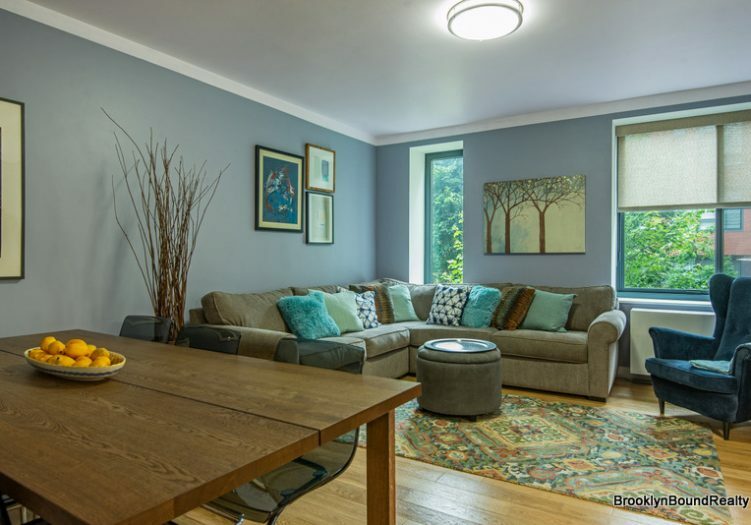 Energy efficient appliances, hardwood flooring, insulated windows, which bring in the natural sunlight, all attribute to this apartment’s charm and attractiveness. The communal spaces also lend themselves to comfortable living. There is a rooftop deck with amazing views of the Cityscape and a grill which can be used by anyone who chooses to dine al fresco. The gym boasts state of the art equipment. The reception area also has a cold storage closet for Fresh Direct deliveries. There is a laundry room with energy efficient machines as well as bike storage for a nominal monthly fee. We can’t say enough about the neighborhood. The Brooklyn Cultural District flanked by the Brooklyn Navy Yard, BAM, The Theater for a New Audience, MOCADA, BRIC and the Barclays Center all within walking distance, make this a neighborhood full of exciting things to see and do. Come be a part of a community that you will never have to leave.